New and improved gear to help you escape disaster’s aftermath. 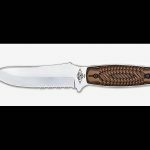 Dexter-Russell has introduced its CS Green River Tactical line of knives, which offer a host of unique features for backwoods tasks, including high-performance G10 grips, double-tapered, flat-ground blades and specialty D2 tool steel. Custom nylon sheaths also provide a versatile mounting platform so each blade is at hand when you need it most. 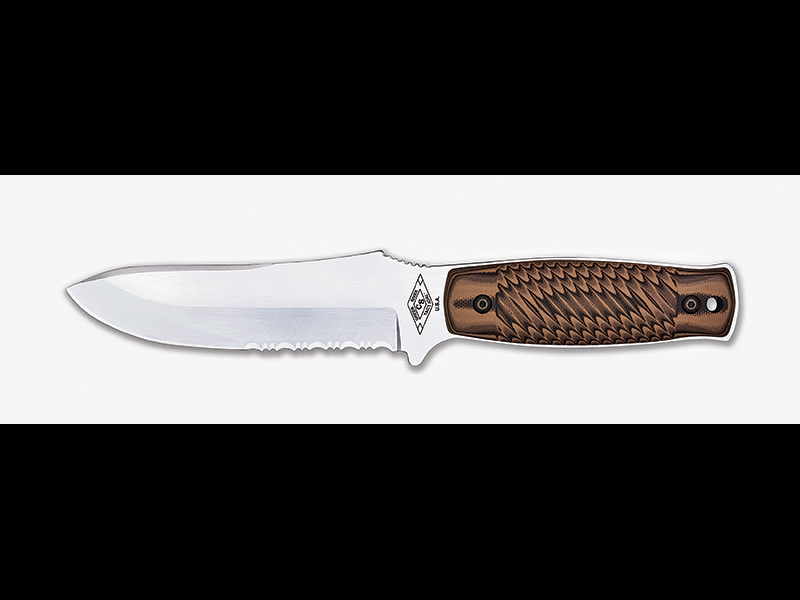 Available in drop-point or clip-point designs, each blade offers a grooved radius thumb grip for enhanced cutting ability in the field. For over 20 years, the Ames Tower Group has been repurposing valuable telecommunication assets, such as tower sites, dark-fiber routes, communications bunkers and other real estate that has been a part of our nation’s telecommunications infrastructure. 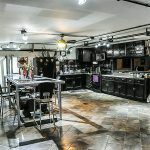 Of particular interest to preppers is the company’s work in repurposing large underground facilities and bunkers. From continuance-of-government structures to old communications bunkers, Ames Tower Group is one of the best sources in the country for viewing the cutting edge in aftermath shelter technology and refurbishment. 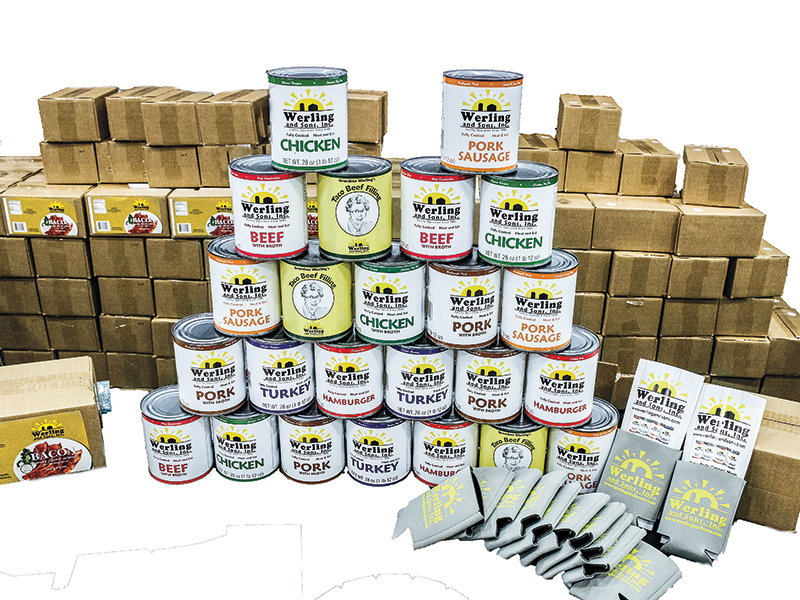 Werling and Sons Inc. has been providing high-quality canned meat to the prepper community ever since the 1960s. Its online store offers canned beef, chicken, turkey and pork to customers across the country. With an extended shelf life and no refrigeration required, these canned-meat products make the perfect protein-rich addition to any emergency kit. 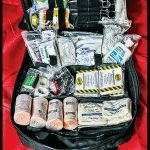 Are you looking to upgrade your trauma-care bag? Doom and Bloom has the perfect bag just for you. 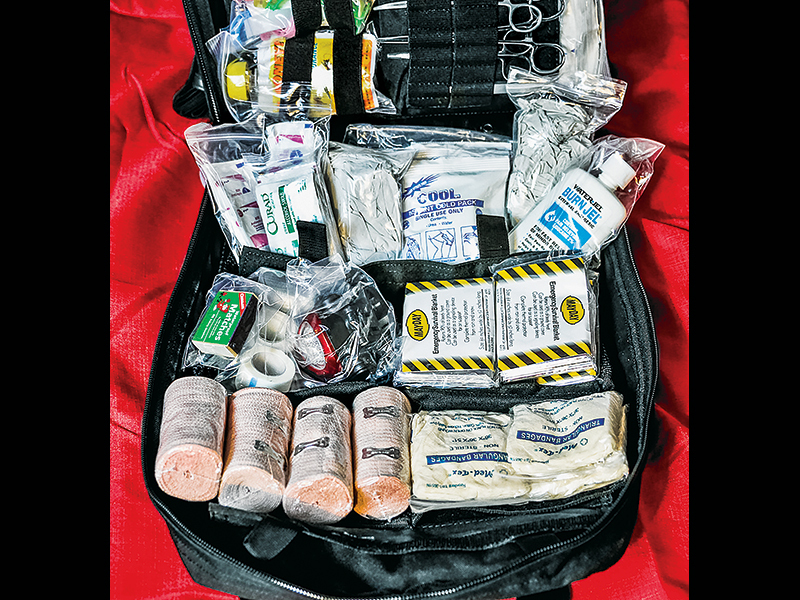 Medical professionals pack the company’s custom-designed bags, like the Ultimate Family Medical Survival Bag, to handle a variety of serious injuries. The kits include simple items, such as gauze and bandages, as well as more unique equipment like dental tools. These kits are well stocked with good quantities of must-have gear while still balancing space and weight. 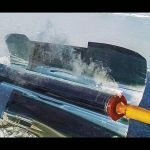 The hollow glass tube of the solar-powered GoSun cooking technology is a near-perfect insulator, allowing one to cook food in even the most challenging backcountry conditions. 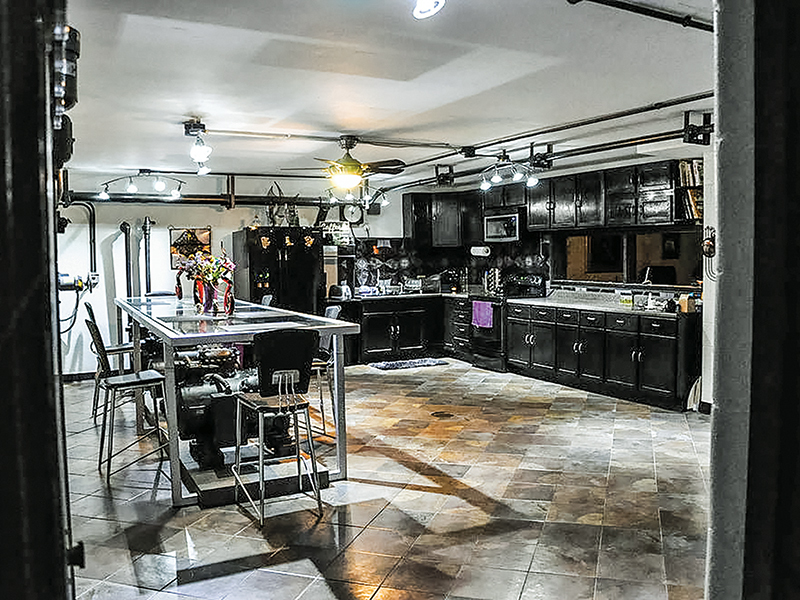 The oven can reach temperatures over 550 degrees Fahrenheit in the field and cook a meal in as little as 20 minutes. By effectively capturing light from a broad range of angles, the GoSun does not require frequent readjustment, making it the lowest-maintenance fuel-free cooking device yet. 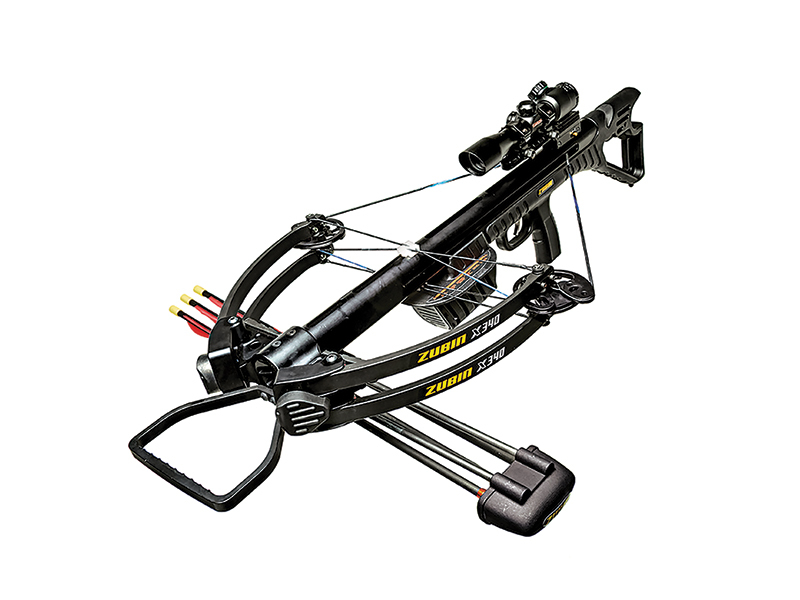 Zubin’s latest crossbow technology, the X340, delivers a revolutionary barrel system and a shoot-through riser, enhancing accuracy while reducing noise and vibration. 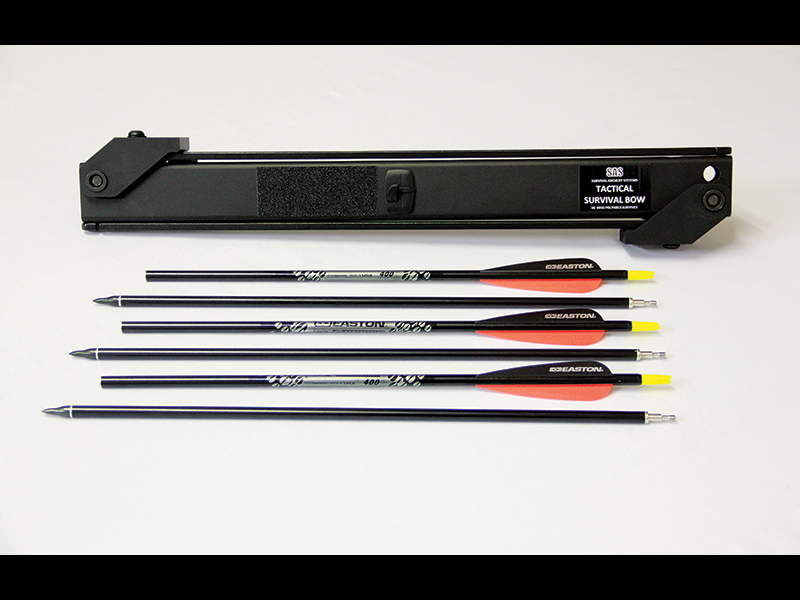 This significant advance in design enables shooting crossbow bolts for deer and other large game. Zubin’s exclusive, reloadable sabots enable the Zubin to fire pellets for clay targets, game birds and other small game. Firing either type of projectile requires absolutely no change in crossbow setup. 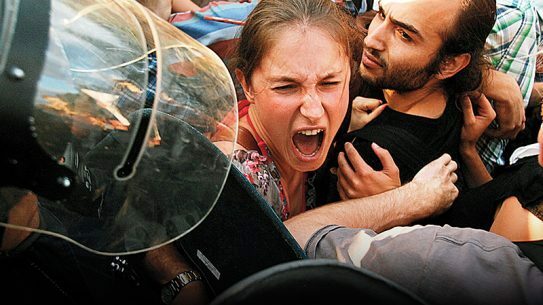 When help isn’t around the corner, blood loss cannot be afforded. 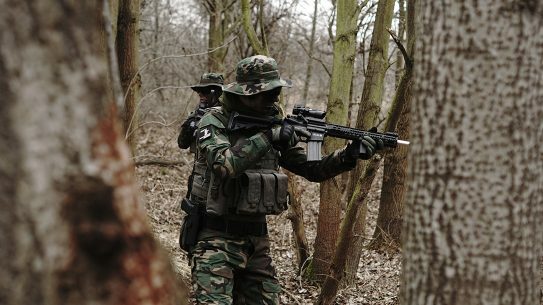 The SWAT-Tourniquet is a unique and multi-purpose dressing. 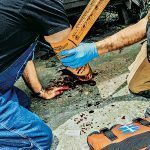 Its name details its usage—“Stretch, Wrap and Tuck.” The SWAT-Tourniquet allows for a more rapid means to control extremity bleeding and allows application higher into the groin and axilla than other tourniquets. 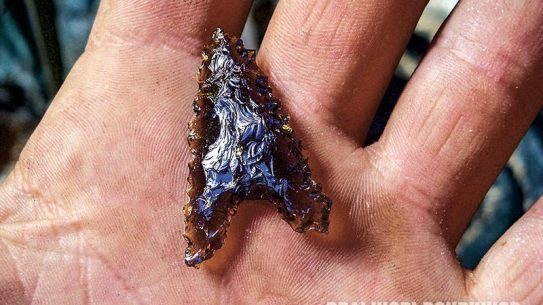 Its ease of application is one of its greatest benefits, as individuals can effectively apply it in seconds with little to no prior training. 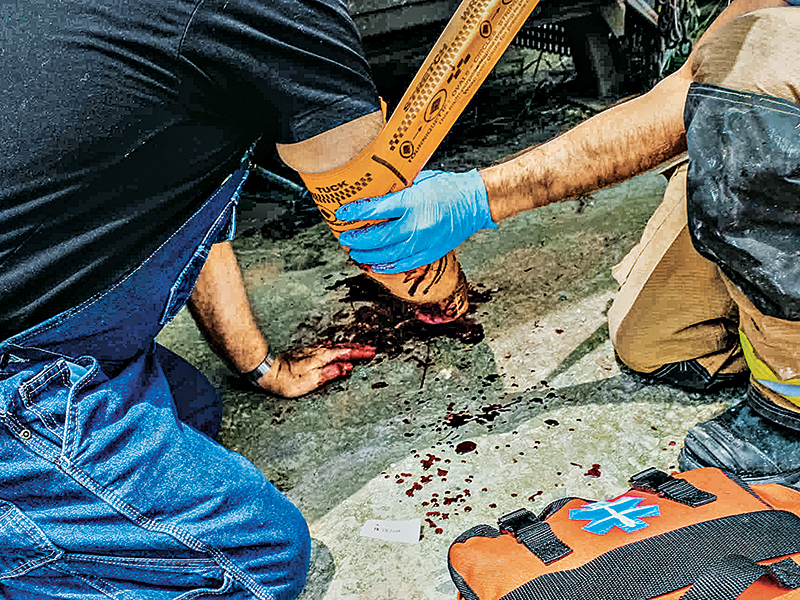 At a third of the cost and less weight than other combat-type tourniquets, this model should find its way into the first-aid kit of every prepper looking for the best new trauma-care gear. 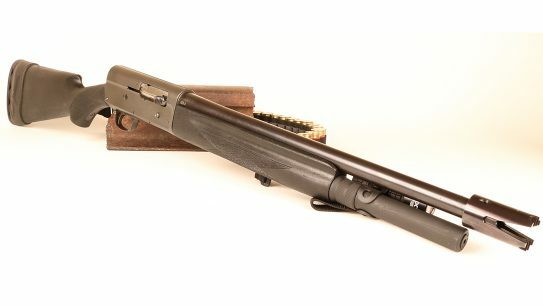 One of the most unique items at the NPS Expo this year was Ohio Ordnance’s semi-auto version of the classic 7.62mm M240 belt-fed machine gun. 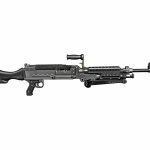 The M240-SLR is a reengineered, belt-fed, semi-automatic version of the M240 machine gun that delivers up to minute-of-angle (MOA) accuracy and proven durability. 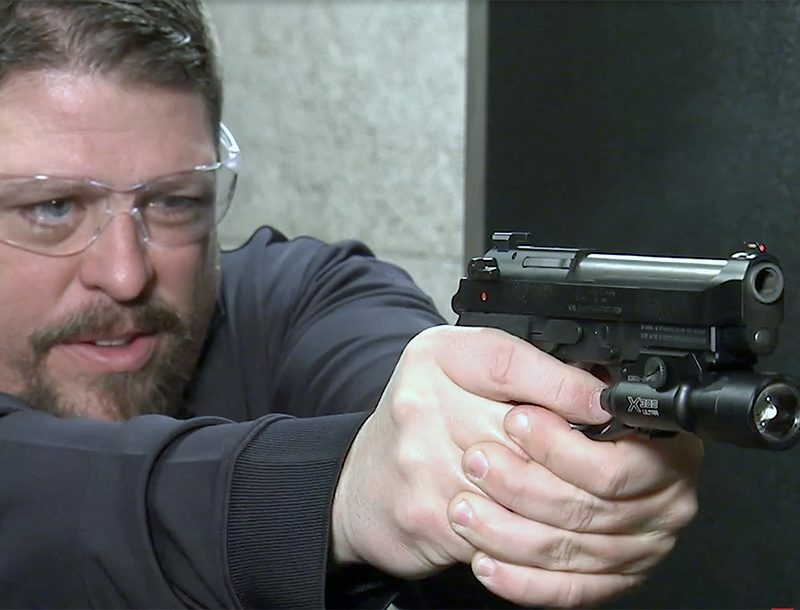 This weapon is ideal for situations that require highly accurate, sustained fire. The M240-SLR is dimensionally identical to the original M240, and it is able to integrate into any M240 mounting system. The most noticeable difference between the M240-SLR and the M240 machine gun is that the SLR fires from a closed bolt. 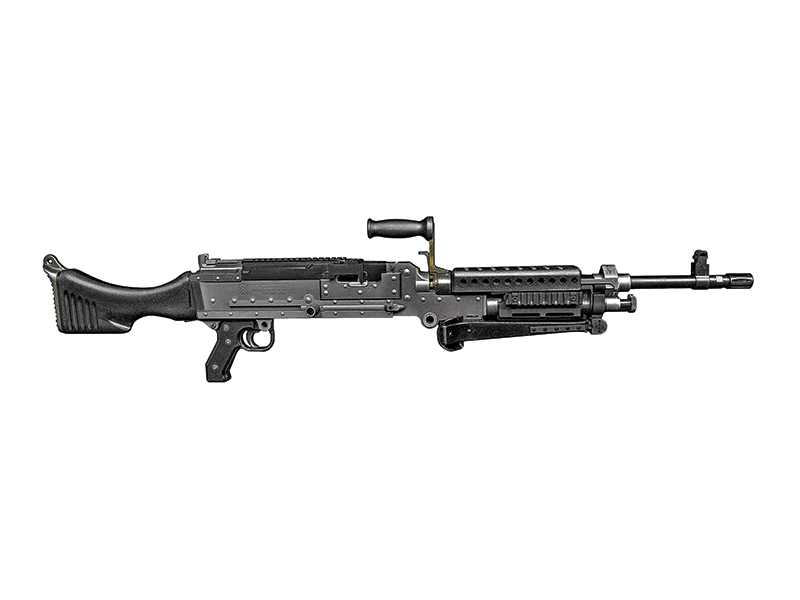 Many of the internal parts of the firearm have been redesigned, introducing an entirely new breed of M240. 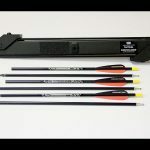 Weighing in at only 2.2 pounds and measuring just 21 inches when collapsed for storage, the Tactical Survival Bow from Survival Archery Systems is the world’s most compact, most powerful tactical survival bow. 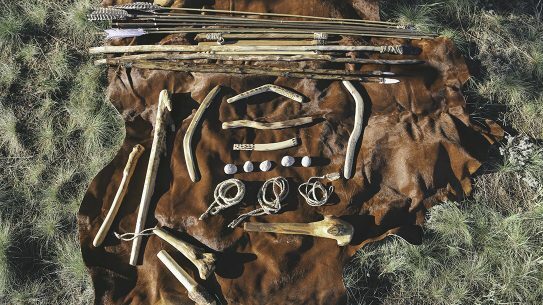 The bow employs a novel folding system that allows for a quick conversion from folded storage mode to a weapons-ready state. 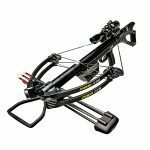 With arrow speeds topping 200 fps, this is the perfect silent weapon for both tactical and hunting applications where firearms and bulkier bows cannot be used. 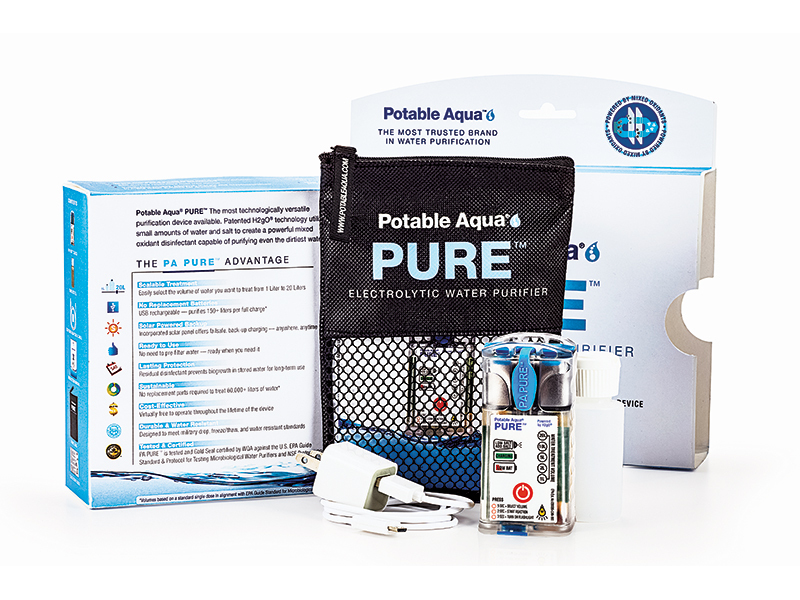 The new Potable Aqua PURE Electrolytic Water Purifier is the smallest and most cost-effective water purification device on the market. Using a simple brine (salt and water) solution, the device produces a powerful mixed-oxidant disinfectant capable of purifying even the dirtiest of water. 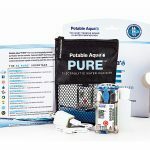 Great for campers, hikers, emergency organizations or anyone needing drinkable water, the PURE device inactivates viruses, bacteria, Giardia and Cryptosporidium, killing 99.9 percent of all organisms without the need to pre-filter or pump. 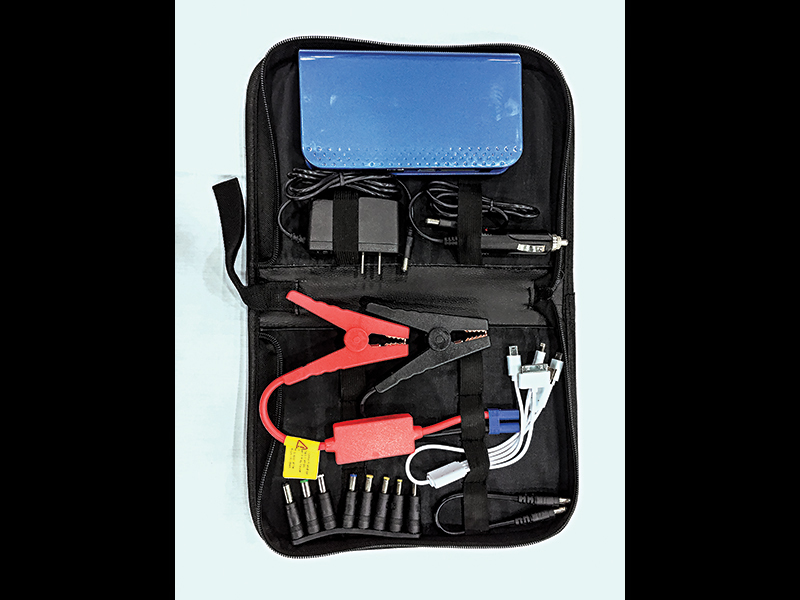 The Jump Kit is capable of charging all of your devices and jumpstarting your car. Take it camping if you are going to be out for a while and need to keep your phone and GPS unit powered up. Pair it together with the company’s 18-watt/18-volt solar charger for endless energy on the go. 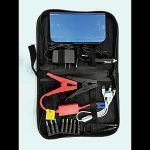 The Jump Kit comes in a zip-up bag with a variety of 12-volt charge adapters, a USB charge cord that includes the new iPhone charger and the jumpstart alligator clips for starting your car when you need it most. 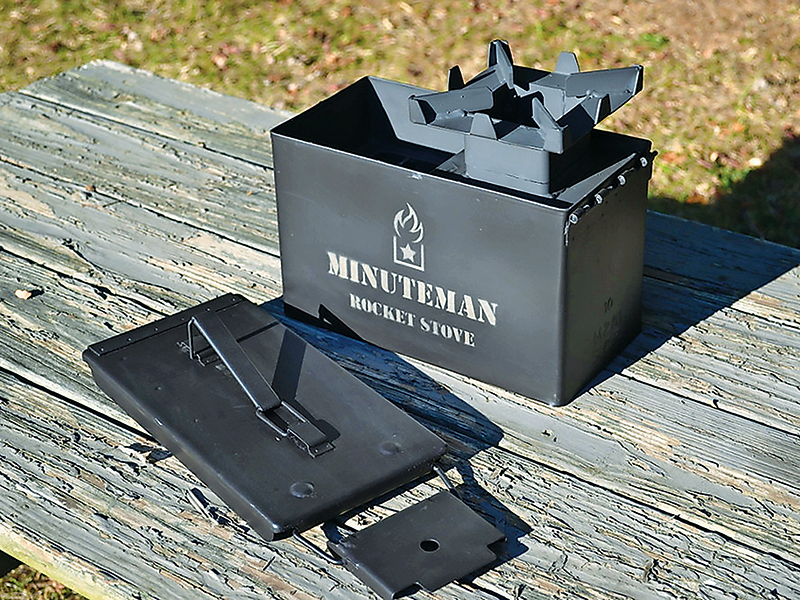 The Minuteman Rocket Stove is one of the most compact, transportable and efficient rocket-style stoves on the market today. It easily allows you to cook family-sized meals in full-sized cookware despite its small size. 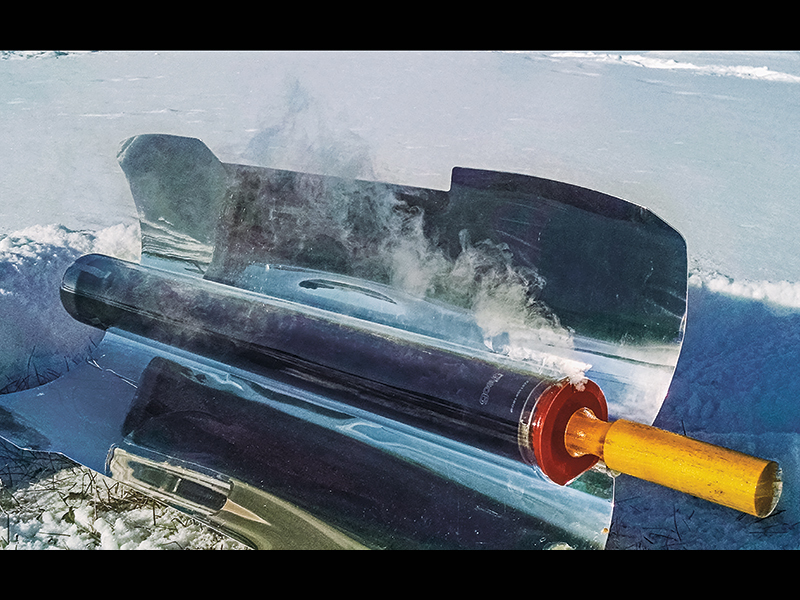 Because it reaches operating temperatures in excess of 1,300 degrees Fahrenheit, even large cast-iron Dutch ovens, canners and full-sized stew pots are no problem for the Minuteman. 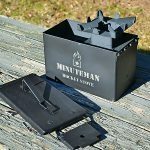 Its highly insulated construction allows for minimal heat loss and focuses the heat where it is needed—on the cookware—and allows the Minuteman to safely be used on a wood picnic table without damaging the wood. 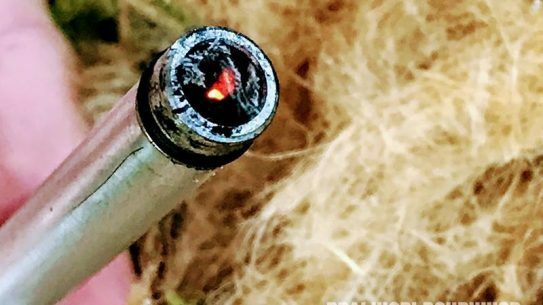 The high heat results in a near smokeless burn, too. 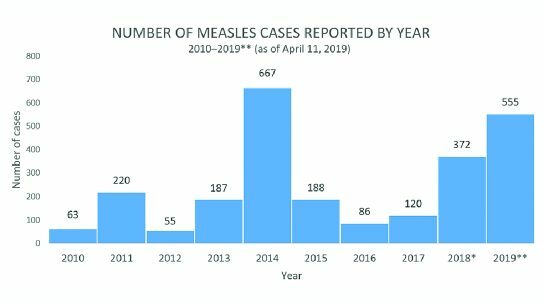 Just one drop of AquaDrop to a gallon of water will remove and kill cholera, E. coli and has proven to be effective against literally hundreds of common bacterial problems. 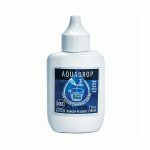 AquaDrop is an effective algae treatment. 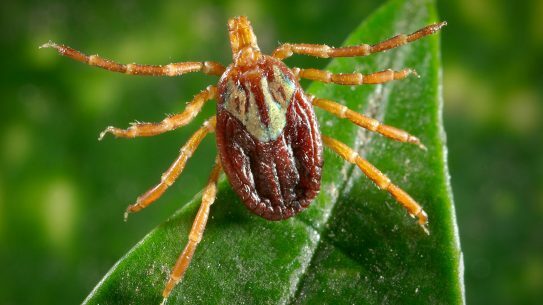 Its primary function is to destroy rapidly organic contaminants in water from a variety of sources, including lakes, ponds, water reservoirs, cisterns and wells. 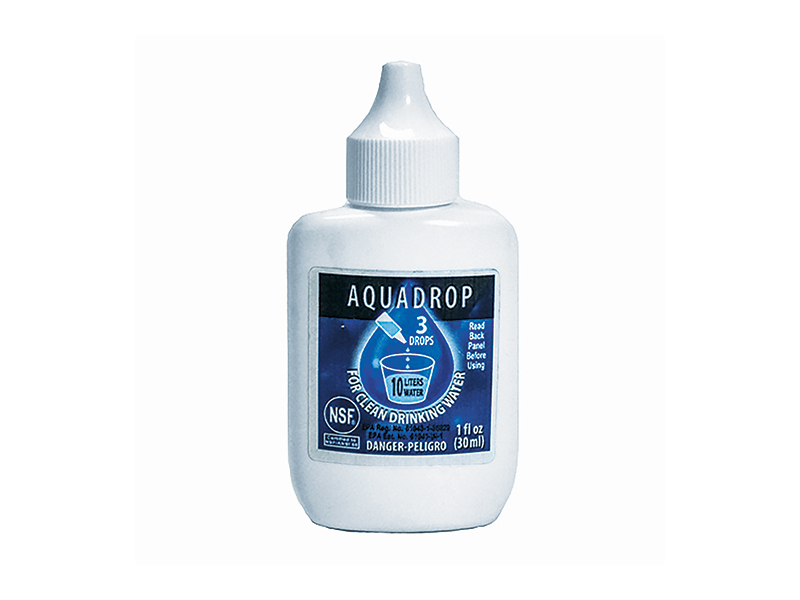 When used as directed, AquaDrop is non-toxic to animals and plants. 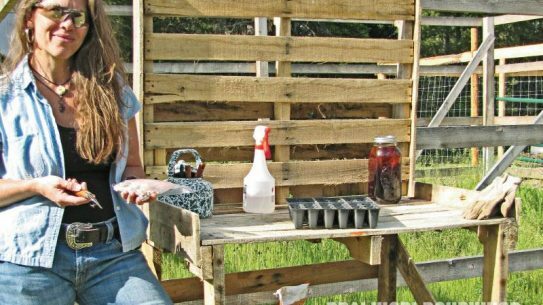 With the FarmDaddy Self-Watering Garden Container, anyone can grow a bounty of fresh organic fruits, vegetables, herbs and flowers. The innovative garden container design eliminates the need for digging and weeding. 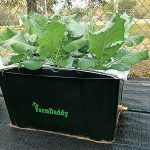 Whether you’re in an urban environment or have acres of land, you can grow a variety of edible plants effortlessly with the FarmDaddy container. There’s no weeding and no hand-watering needed to grow amazing produce. 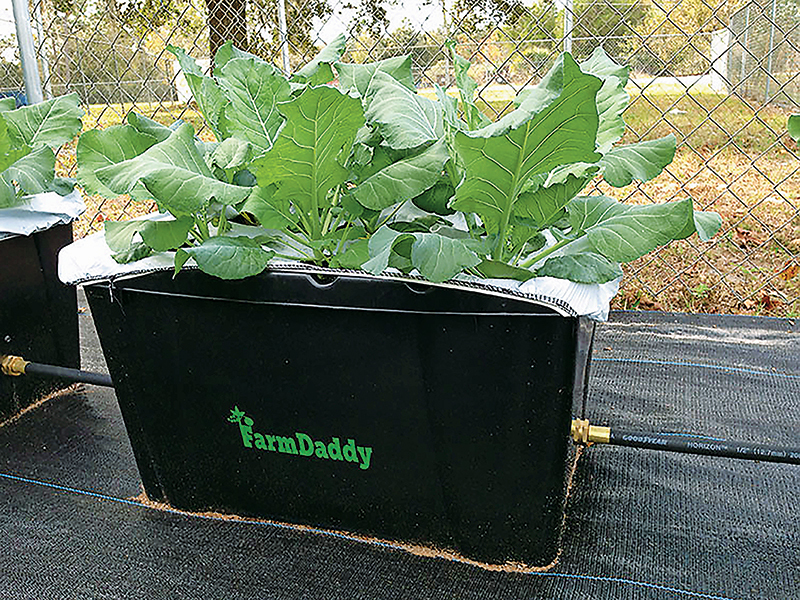 The self-watering FarmDaddy system is easy to set up and connects to as many FarmDaddy containers as you like with just one hose. 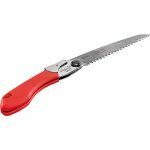 This is a compact, lightweight folding saw with a 6.75-inch blade that will take up very little room in your pocket or backpack. 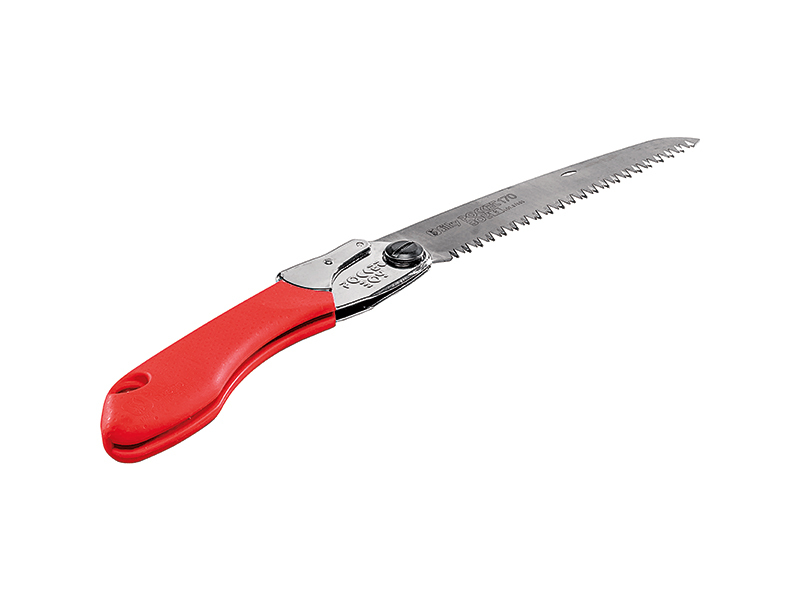 The precision-ground, razor-sharp blade provides fast, clean and smooth cutting. The blade locks securely into one of two open positions—in line with the handle or flush. 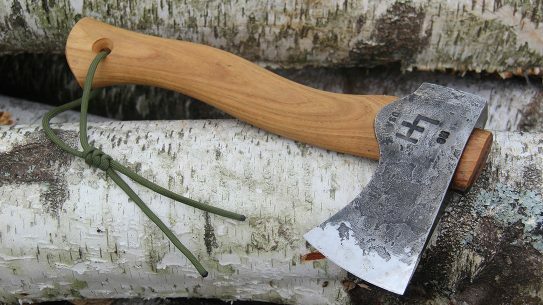 The blade resists the effects of tree resin and easily wipes clean. 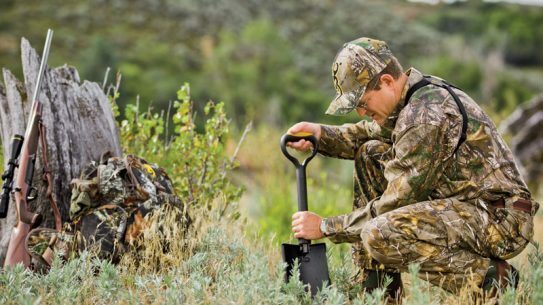 The non-slip rubberized handle provides a sure and comfortable grip even in the most difficult operating conditions. A clear plastic flip-lock carrying case with belt clip is also included. 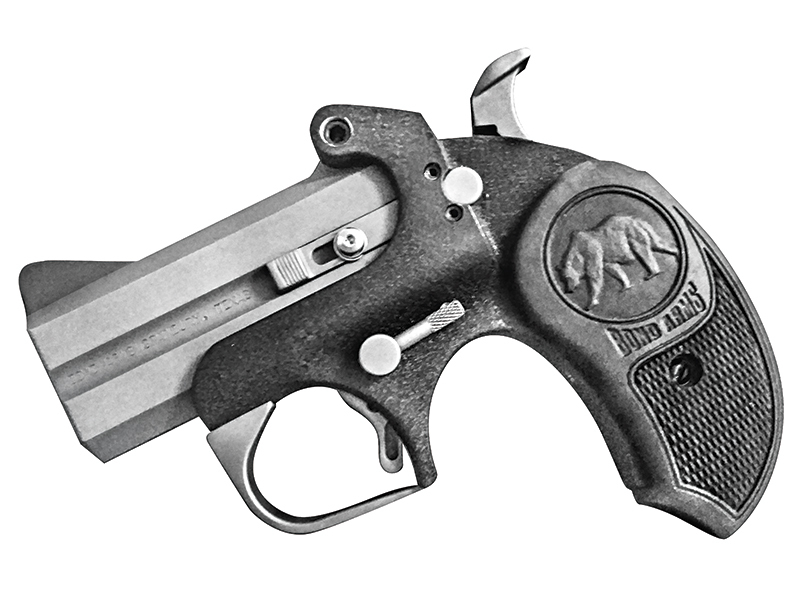 Bond Arms is a leader in the derringer industry in terms of new product development. 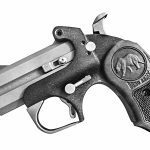 Made from stainless steel and other heavy-duty materials, the Bond Arms Papa Bear features extended rubber grips with a 3-inch barrel chambered in .410/.45 Colt. The Papa Bear is finished in polished stainless steel with extended rubber grips featuring the Bear logo. This is truly go-anywhere firepower! 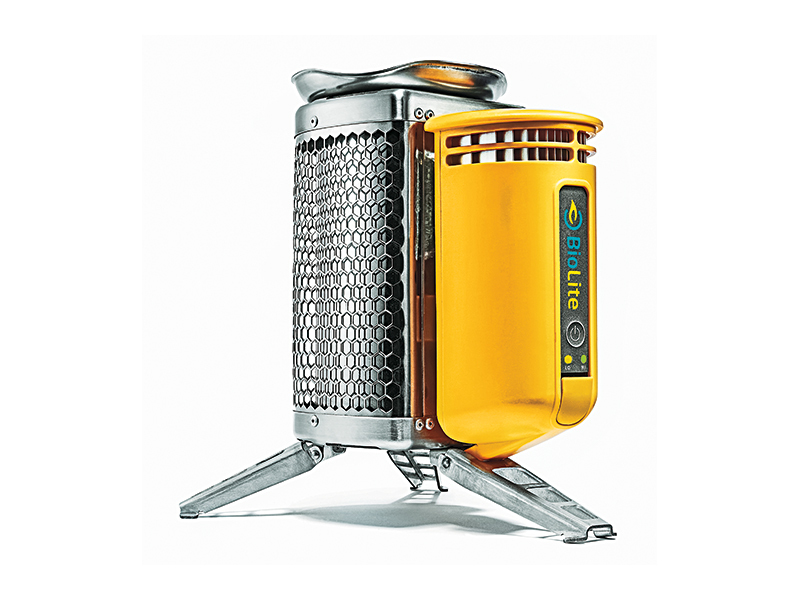 The BioLite stove is a unique device that, in addition to being a working stove, generates usable electricity for charging LED lights, phones and other personal devices. 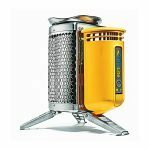 Burning only wood, the CampStove creates a smokeless campfire that can cook meals and boil water in minutes. Setup is easy, the fuel is free and the resulting flames are hyper-efficient with performance on par with white gas stoves. 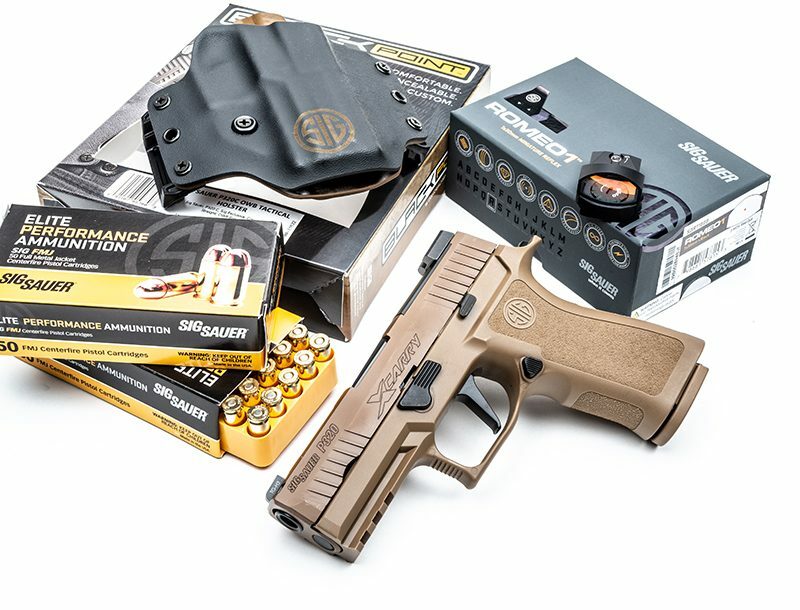 In October of 2015, the National Preppers and Survivalist (NPS) Expo in Louisville, Kentucky, showcased some of the most useful, innovative and essential gear in the survivalist world. Designed to be a one-stop shop for the emergency preparedness industry, the traveling NPS Expo was a big hit with vendors and attendees alike. 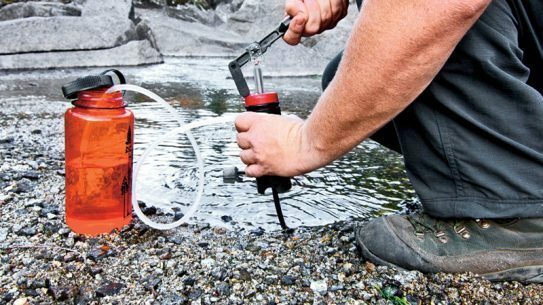 From water purifiers to personal protection equipment, here are several items that made a big impression. 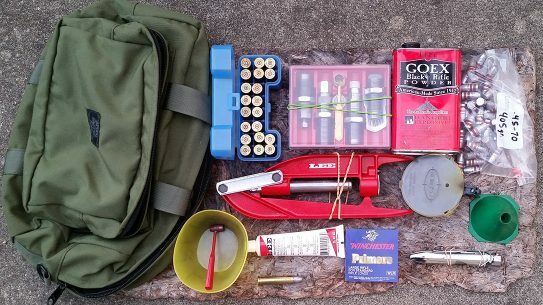 RELATED STORY: Prepper 101: Is Your Family Prepped For The Aftermath? 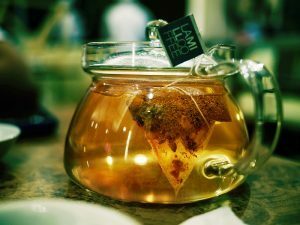 Teas you make yourself will be more potent and flavorful.